Well, Our official debut date for Speak No Evil is finally here! The last of the Kickstarter rewards go into the mail tomorrow morning, so if you’re still waiting, they should be there very soon. 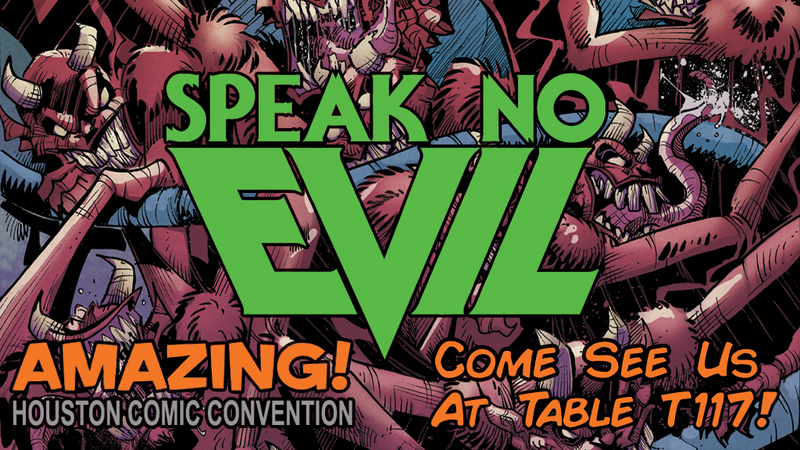 If you’re in Houston and want to come say hi, we’ll be at Amazing Houston Comic-Con from 9/9-9/11 at Table T117. Come see us if you can! We’re also hard at work getting ready for the issue two Kickstarter that launches on October 1st. Samir just sent us the pencils for the cover and it’s absolutely incredible. We can’t wait to show you guys where the story is headed! ‹ The proofs are in!